Piscataway, NJ. ­– DPK Consulting, one of the Northeast’s fastest growing surveying and 3D scanning firms, is once again honored as one of the region’s safest. DPK’s principal, James Heiser, accepted a well-deserved Recognition Award at the 2017 Governor’s Annual Occupational Safety and Health Awards Program. This award is presented to organizations with an outstanding safety record throughout 2016 and considered a pillar of achievement in the prevention of workplace injury and illness for nearly 90 years. 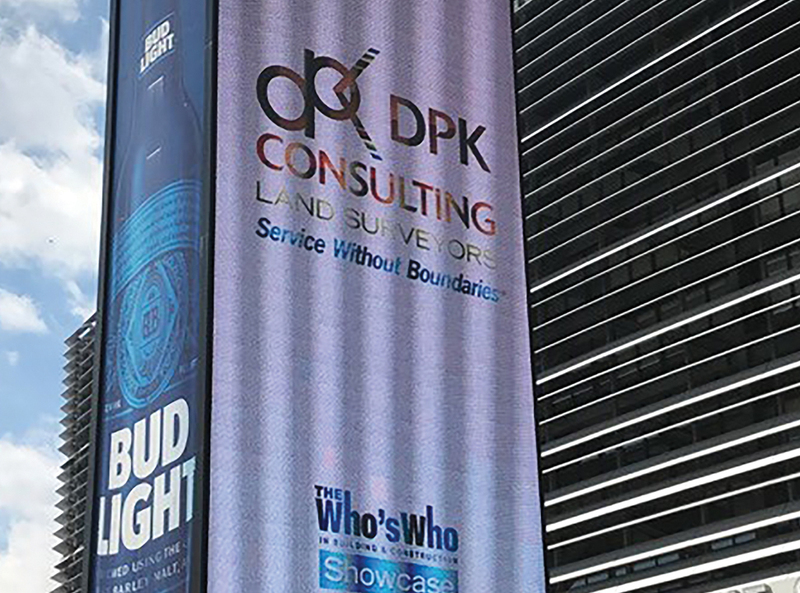 DPK Consulting, one of the Northeast’s fastest growing surveying and 3D scanning firms, exhibited along with roughly 100 construction and development companies. The show was well attended and active but the enormous digital display stole the show for attending business owners by putting their businesses in the limelight. “We expected this show to be a good one for us and it was, states Steve Parent, partner at DPK Consulting. “What we didn’t expect was to see our company brand on a 5-story digital display. Our involvement with the new Blue Book has been great. As we learn more about their network and e-bidding processes, we hope to reach more and more commercial construction, environmental engineering and architecture firms with our broad platform of services, concludes Mr. Parent.